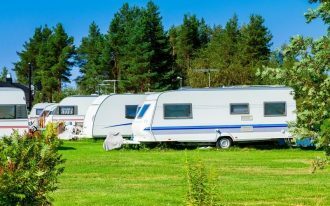 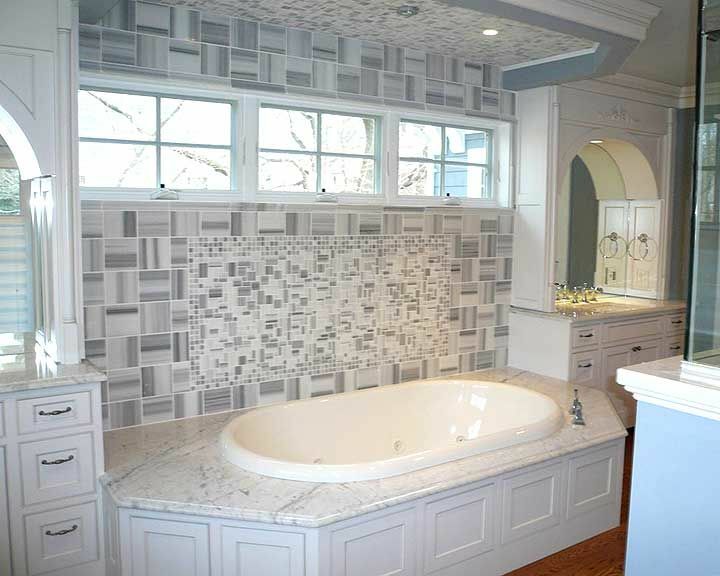 Carrara marbles are formed by heated and compressed limestone that is quarried from Carrara Hills, Italy. 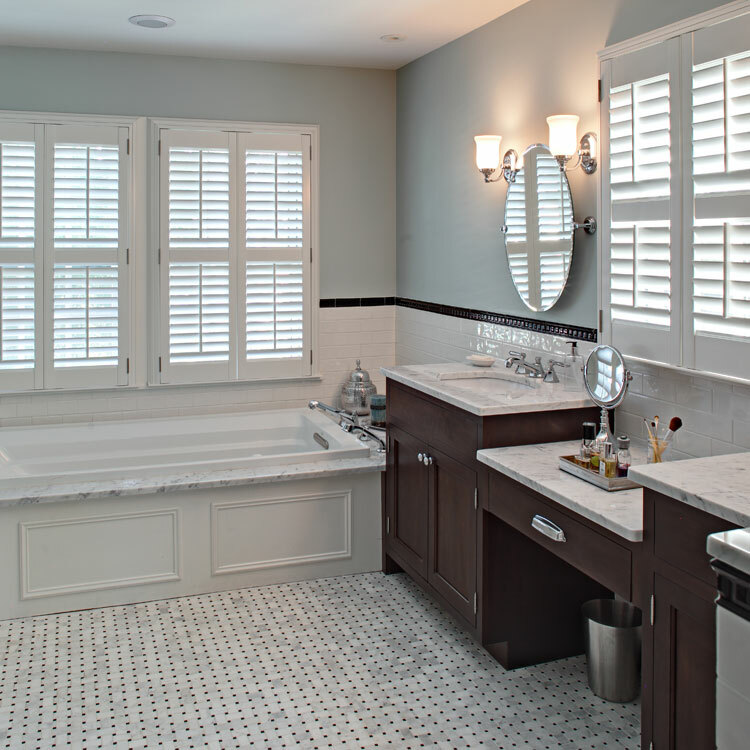 Carrara is categorized as best quality material for bathrooms, kitchen, flooring, and wall systems. 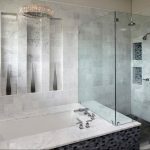 As the major material, many people are so interesting to use this kind of marble for garnishing their bathroom and other functional rooms. 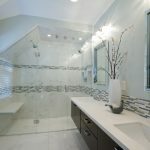 They have many reasons why they don’t hesitate to select this type of marble. 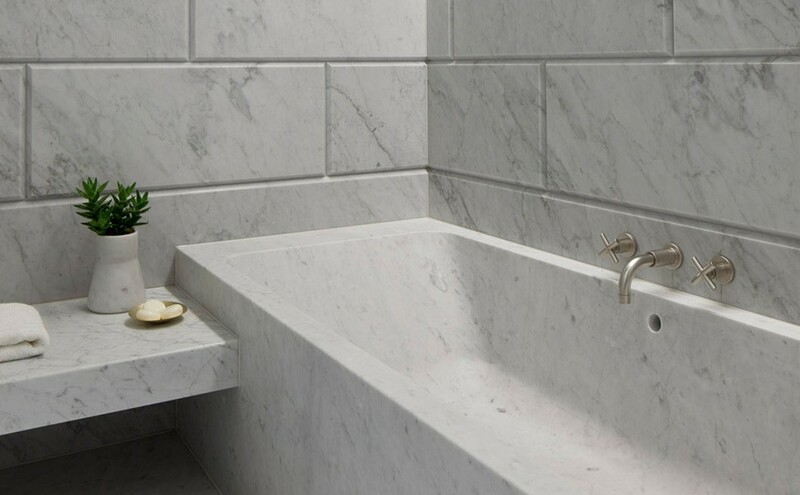 First, Carrara marbles lend pristine air for any bathroom ideas. 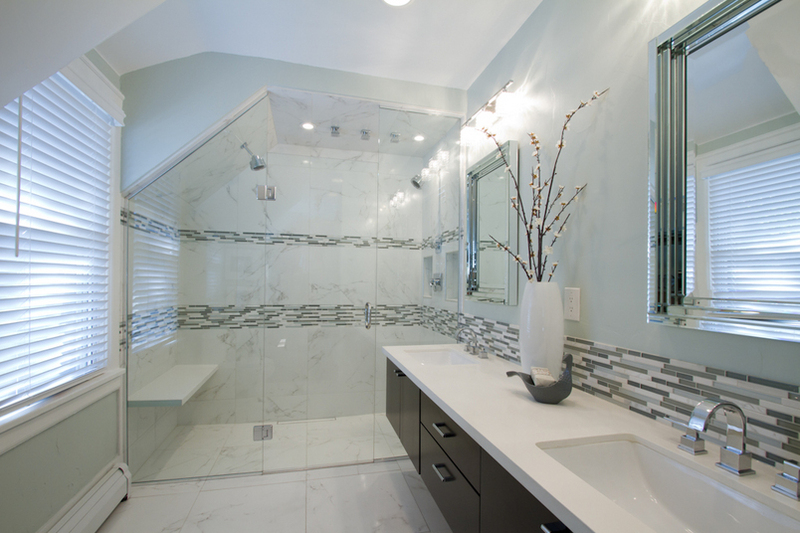 Second, it is a metamorphic material that has light white and gray background colors. 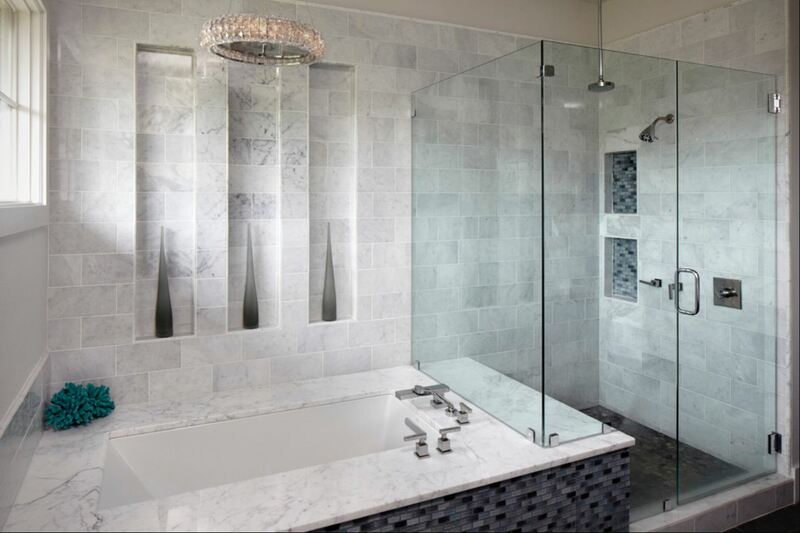 White and gray background color looks naturally beautiful after being combined with darker veins. 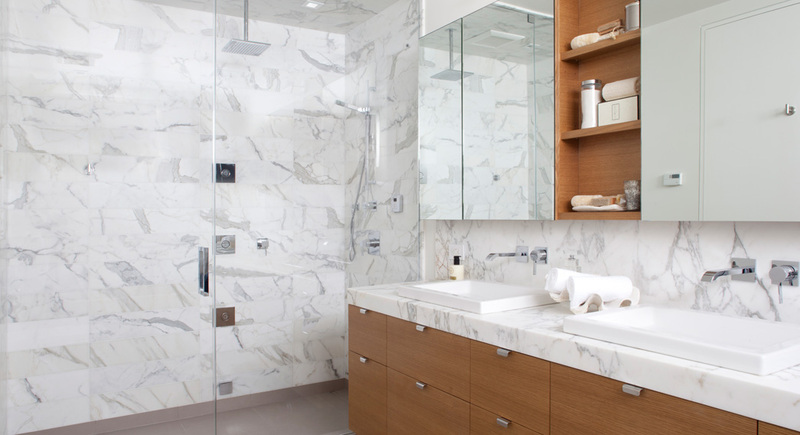 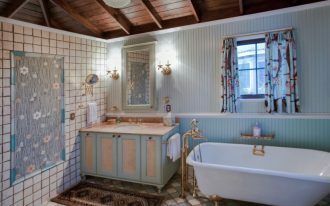 Today, Carrara marbles are most often used for bathroom. 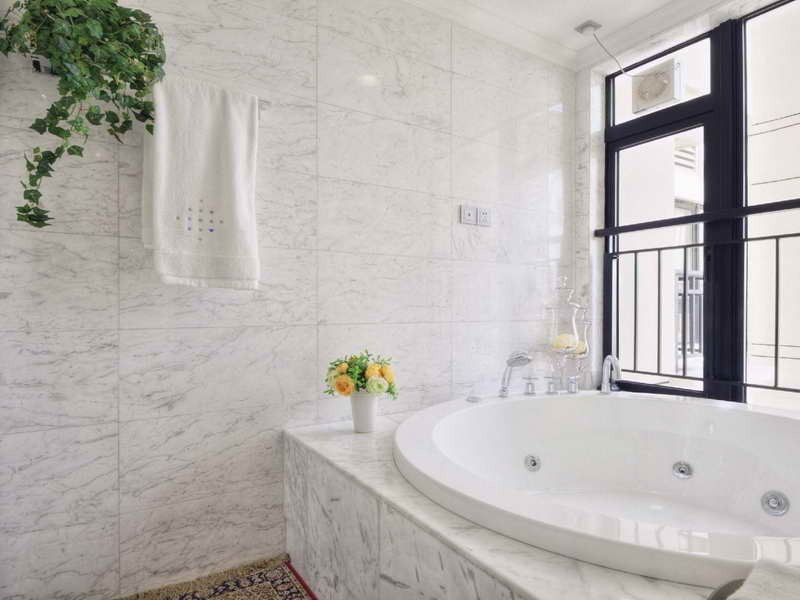 That’s why the name of Carrara marble bathrooms is very popular these days. 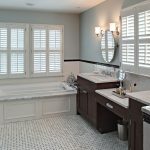 With its cool background colors and deep gray/ blue veins, Carrara marble bathrooms offer the best color combination in your private bathroom. 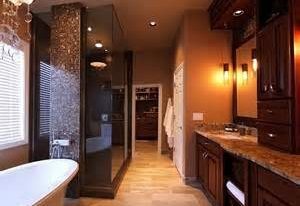 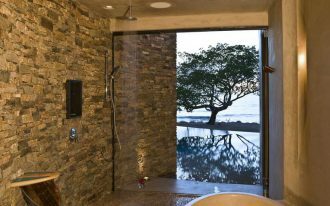 If you intend to have special tones in your bathroom wall, take this type of stone as your main consideration. 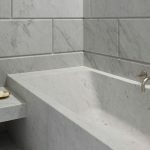 Carrara marbles seem so perfect after you pair them with soft sea greens, classic white, darker gray or light blue tones. 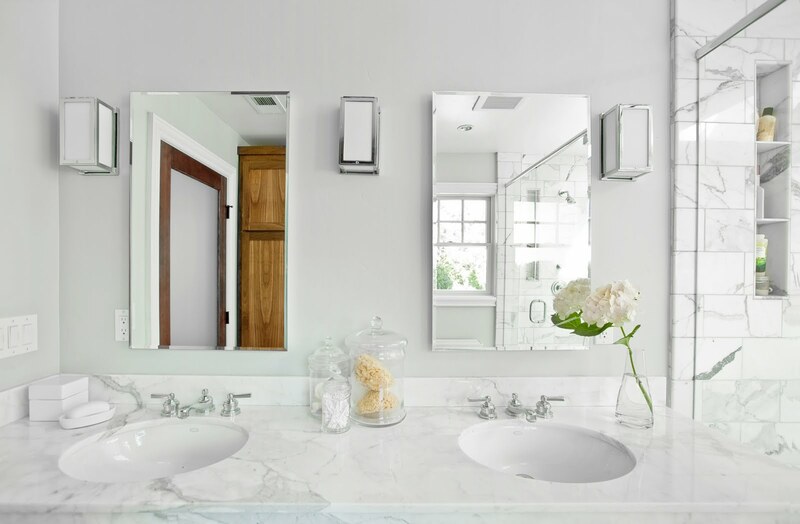 To create a contrast look in your bathroom, you can combine your Carrara marbles with darker-gray-background marble with clean white veins. 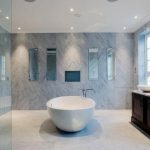 Carrara marble bathrooms can be the best option to create a minimalist bathroom design. 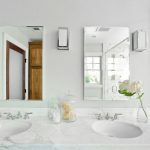 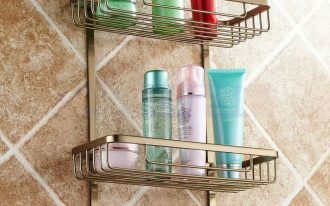 Remember to enlighten your minimalist bathroom with minimalist bathroom fixtures such as clean white bathroom fixtures and classic white wall system. 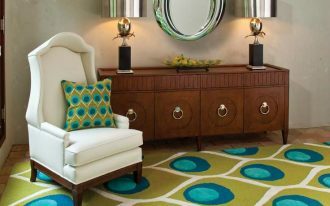 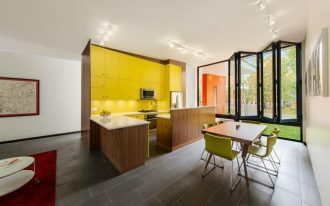 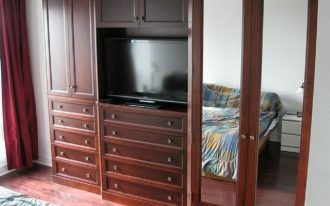 This look is not only strengthens a minimalist nuance, but it also gives you a formal look. 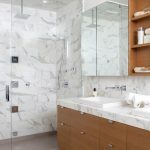 To add more references of Carrara marble usage in the bathrooms, here we show you some inspiring designs of Carrara marbles bathrooms.